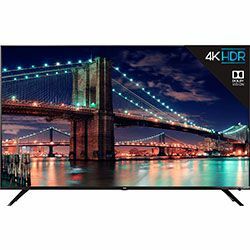 Both TCL 65R617 and LG 65UK6300PUE have excellent overall image quality, with deep black levels, very good brightness, rich contrast, and accurate color. They support HDR10 and Dolby Vision high dynamic range sources. The UK6300 is a good TV for rooms with wide seating because it offers a better viewing angle than other TVs at this price-point. The blacks are consistent at any viewpoint, and the color and brightness shifts aren’t too bad – they become noticeable at moderate angles. Colors shift at 22 degrees, whereas brightness shifts at 27 degrees. But the picture is less detailed and lower in quality, which means that only 75% of the total panel's pixels can produce colors. LG 65UK6300PUE vs TCL 65R617 can reproduce a wide range of bright and vibrant colors as well as some truly inky blacks because of its wide color gamut, high color accuracy, excellent gamma tracking, high native contrast ratio, and stellar peak brightness. LG 65UK6300PUE is a great option for fast-paced content such as sports and video games due to the quick response time. This makes sure the content doesn't appear blurred out due to fast movement on-screen. A full pixel color transition on the TV's panel takes 15 milliseconds. To enjoy the exceptional picture quality of TCL 65R617, you need to sit right in front of it as the overall picture quality of the R617 decreases drastically when viewed from an angle. Black levels start to degrade once the vertical viewing angle gets higher than 11 degrees. 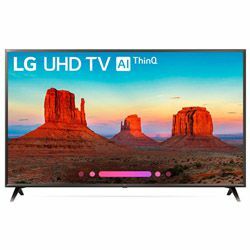 Set up for both LG 65UK6300PUE vs TCL 65R617 was quick as support walks you through it after plug-in and power on. Remotes included are more than sufficient. Preloaded apps update easily and quickly and include Netflix, Hulu, Amazon prime video, with others available for download. Very bright in HDR and SDR. Excellent low input lag for gaming. Decent Sound (as with most TVs of this type, if you don’t like the sound, get a soundbar you do like; one was not connected or used for this review). Has 3 HDMI inputs (though one is on back of TV which can be problematic depending on how you mount the TV to a wall). Doesn’t keep Wi-Fi network settings so if you jump from your 5G Wi-Fi to 2G Wi-Fi network connection or tether TV to Cell Phone, you have to re-enter the password every time you change.